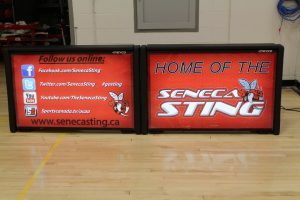 Over the course of the past year we have supplied Scoring Tables for Seneca College, North York, ON. 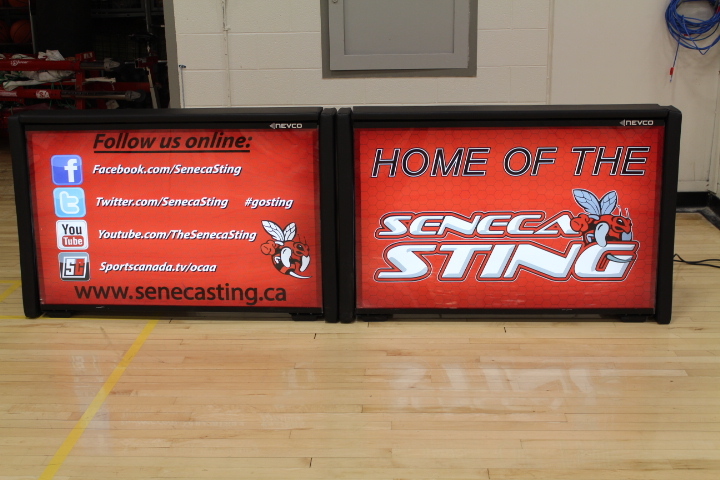 Seneca College has purchased four (4) 4′ scoring tables for their varsity basketball programs. The unique design of the Nevco 3-in-1 Scoring Tables allows for upgradeability, expandability and interchangeability. The tables are available with a non-lit face, rear-lit face or full-colour LED. Sizes available are 4′, 8′ and 10′. Call the Scoreboard Man for more information and to find out about our special promotion, ending Oct 31, 2014.